Frankfurt’s main railway station, seen from the 49th floor of a nearby office building around noon, May 7, the third consecutive day of a strike by German railway engine drivers. 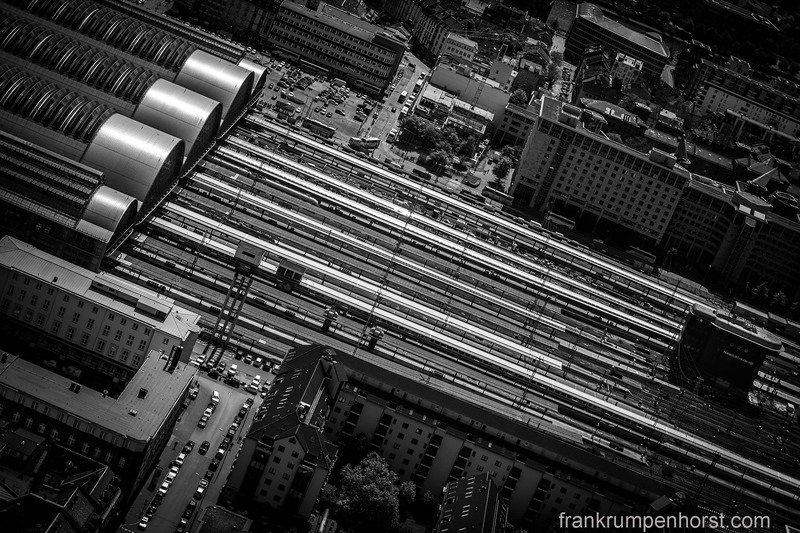 This entry was posted in germany, Photo, Photography, railway, strike and tagged b-w, bird's eye view, black and white, gdl, railway, railway enige drivers, s-w, strike, train station. Bookmark the permalink.